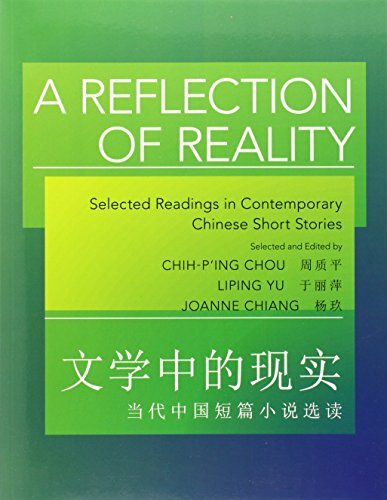 A Reflection of Reality is an anthology of modern Chinese short stories designed as an advanced-level textbook for students who have completed at least three years of college-level Chinese. While many advanced-level Chinese language textbooks stress only practical communication, this textbook uses stories from well-known Chinese authors not only to enhance students' language proficiency, but also to expose students to the literature, history, and evolution of modern Chinese society. The twelve stories selected for this textbook are written by such contemporary authors as Yu Hua, Wang Anyi, and Gao Xingjian, and have appeared in various newspapers and magazines in China. Each story is filled with useful sentence structures, vocabulary, and cultural information, and is followed by an extensive vocabulary list, numerous sentence structure examples, grammar exercises, and discussion questions. The textbook also includes a comprehensive pinyin index. A Reflection of Reality will effectively improve students' Chinese language skills and their understanding of today's China. If you have any questions about this product by Princeton University Press, contact us by completing and submitting the form below. If you are looking for a specif part number, please include it with your message. By Brand: Sign2Me Early Learning / Northlight Communications, Inc.